Manila, Philippines:On May 19, adidas Running’sworldwide community of runners took part in a street running event in Berlin to celebrate the PureBOOST DPR. 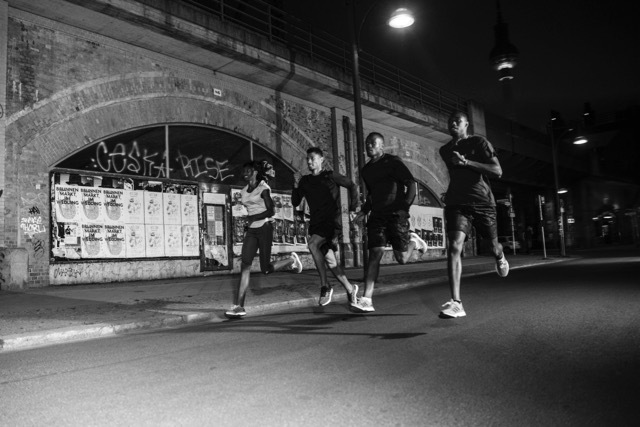 Global media, influencers, adidas Runners community, running crews, elite athletes and the Speed Squad came together to take on the city streets at night and experience the performance running silhouette. The event was designed to champion those who adidas describe as‘street artists’ - runners who explore the unexplored parts of the city, takingon the unpredictability of the urban landscape with each stride. Runners from around the world were challenged to experience this raw, unfiltered running style for themselves. After a street art exhibition, guests HIT THIS GROUND RUNNING and conquered a 6km run through Berlin, tackling ‘DPR moments’ - obstacles and distractions includingstreetlights, traffic, sharp corners, speeding bikers, and more. With ease thanks to the new agile and adaptive design features of the PureBOOST DPR inlcudingan 8mm heel-to-toe offsetfor a natural and adaptive BOOST experience,and a wider forefoot which provides a more stable platform for pivotal transitions when running around corners or over varied and unpredictable surfaces in the city. For the first time, adidas invited their elite track and field athletes from South Africa, the USA, The Bahamas and Australia includingWayde Van Niekerk (South Africa),AkaniSimbine (South Africa), Noah Lyles (USA), Tori Bowie(USA), Shaunae Miller (Bahamas)and Sally Pearson (Australia)to join the experience and race against guests during a surprise 100m ‘sprint zone’. The event culminated in a Block Party celebration at adidas Runbase where guests enjoyed live music from DJ Batman and Ahzumjot as well as food, drinks and more opportunities to test the shoe. The adidas PureBOOSTDPR is available now at http://shop.adidas.com.ph/running/pure-boost.html. Follow the conversation at @adidasrunning on Instagram, Twitter and Facebook using #PureBOOST DPR.